I have one more card (for now, haha!) to share using the Essentials by Ellen Tree Farm set designed by the amazing Brandi Kincaid. And today I even did more coloring, something I am trying to practice as much as possible to get out of my messy-watercolor-comfort-zone! 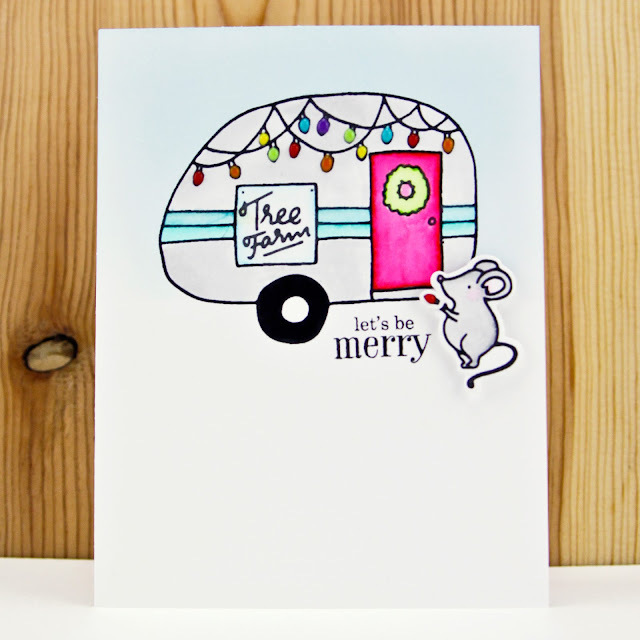 To create this card, start by stamping the camper on smooth watercolor paper in permanent ink. 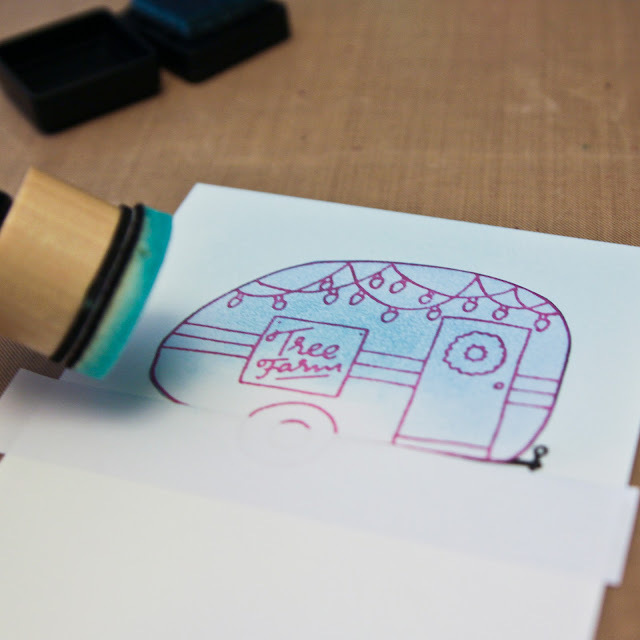 Stamp the camper again on masking paper, again in a permanent ink. I always stamp on my masking paper in a different color, not sure why. Cut out the mask and place it over the original stamped image. 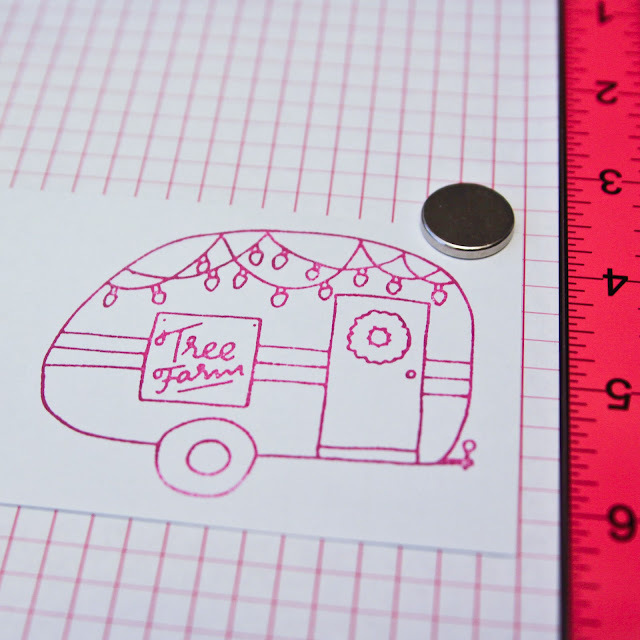 Add another piece to create an edge if desired. I really added the second piece of masking paper because I'm just messy and I was trying to avoid fingerprints, LOL! 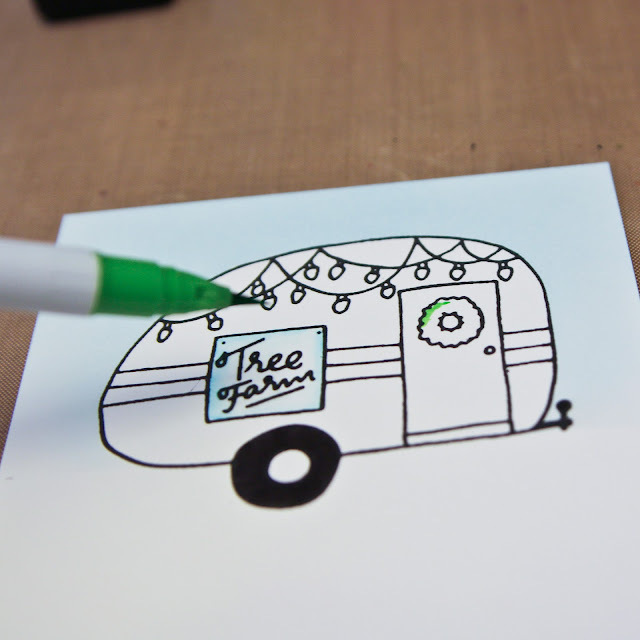 Apply a light blue ink, like Distress Ink Tumbled Glass, with a blending tool to the top 1/3 of the panel. 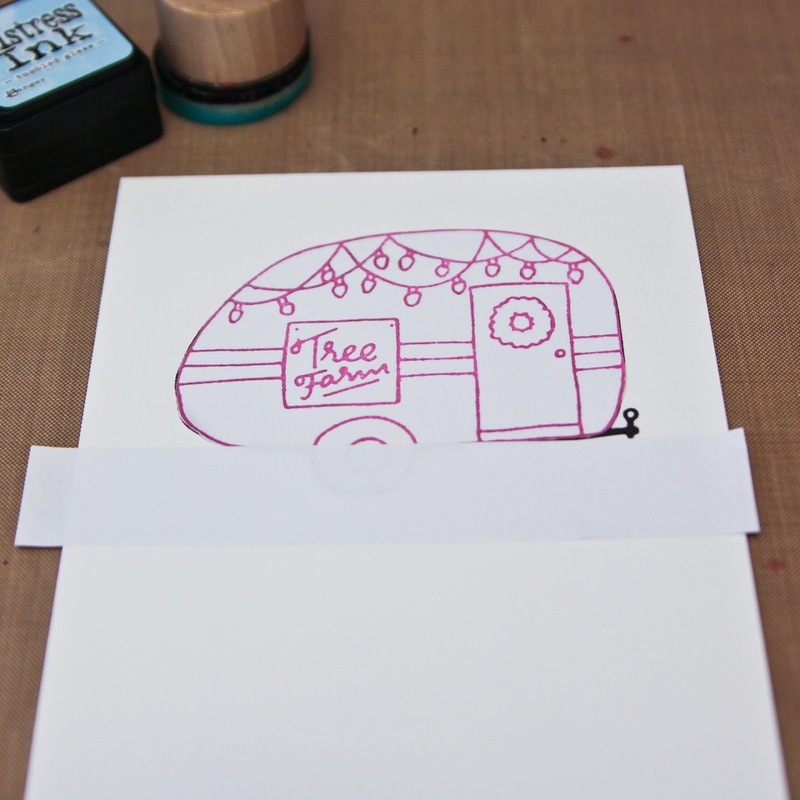 Remove masking paper and color camper image with Clean Color markers. Add color to the Christmas lights with Nuvo drops. Admire your work and then realize you need a cute little friend. Haha! 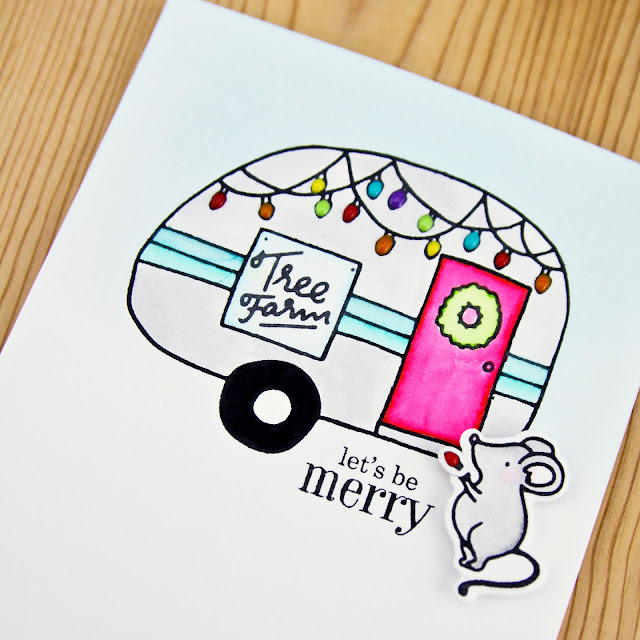 That's what I did so I stamped the little mouse and colored with the Clean Color markers. And I borrowed the little individual Christmas light from the Essentials by Ellen Tis The Season set to put is his hands. 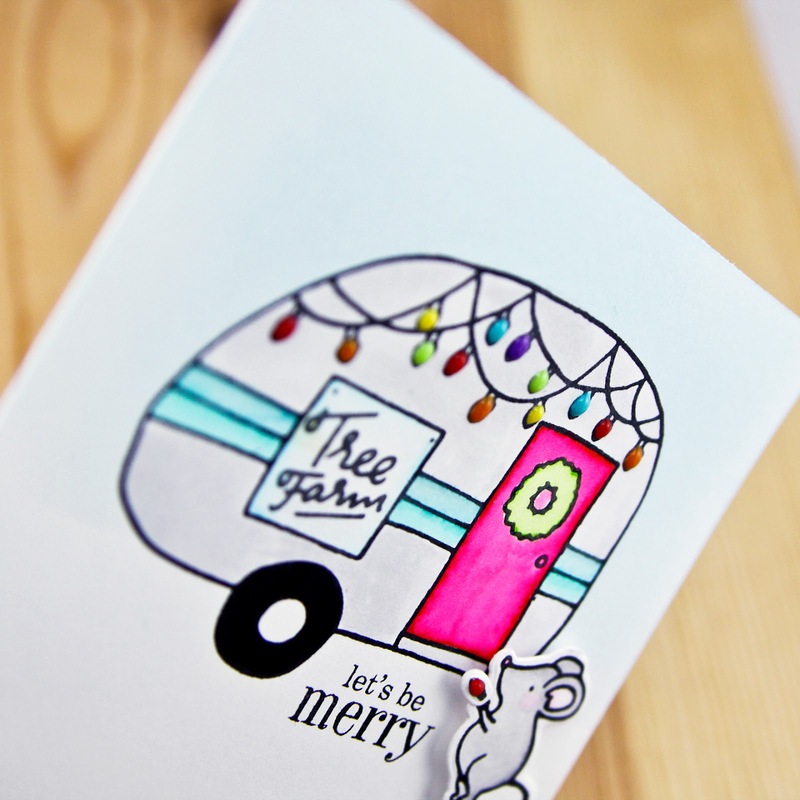 A sentiment from the Hero Arts completes the card. Hope you're having a great weekend and you have lots of time to craft!